This heart rate monitor watch has everything you need to get started with cardiovascular training - running, jogging, or any kind of strenuous exercise. 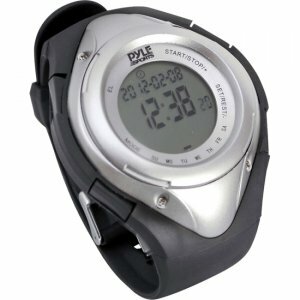 The watch is equipped with a stopwatch, an alarm function, and an LED backlight for easy night usage. Of course, it also includes a heart rate monitor chest strap and data functions including maximum, minimum, average, and present heart rate monitoring.